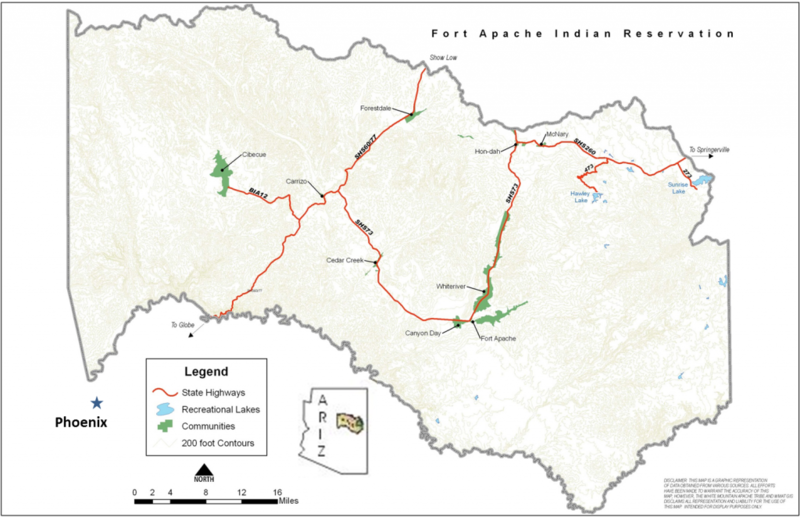 The White Mountain Apache Tribe occupies 1.67 million acres (over 2,600 square miles) of its ancestral homeland on the Fort Apache Indian Reservation in east-central Arizona. The Fort Apache Indian Reservation was created by Executive Order on November 9, 1891. The Reservation originally included the present-day San Carlos Apache Reservation, which was separated by an act of Congress in 1897. 13,409 people live on the White Mountain Apache Reservation. The Fort Apache Reservation’s diverse landscape makes it a hub of outdoor recreation. Along with the Sunrise Park Resort, which offers both winter and summer activities, Hawley Lake is one of the best-known attractions on the Reservation. Fishing is very popular and anglers may catch a glimpse of the Apache Trout, a species unique to the Reservation that was pulled from the brink of extinction through the efforts of the Tribe and many partners. Visitors can obtain permits from the White Mountain Apache Tribe Game & Fish Department and tribal owned cabins near the lake are available for rental. Boating, kayaking, and whitewater rafting are among the variety of other water-based activities available on the Reservation’s many lakes, rivers, and streams. 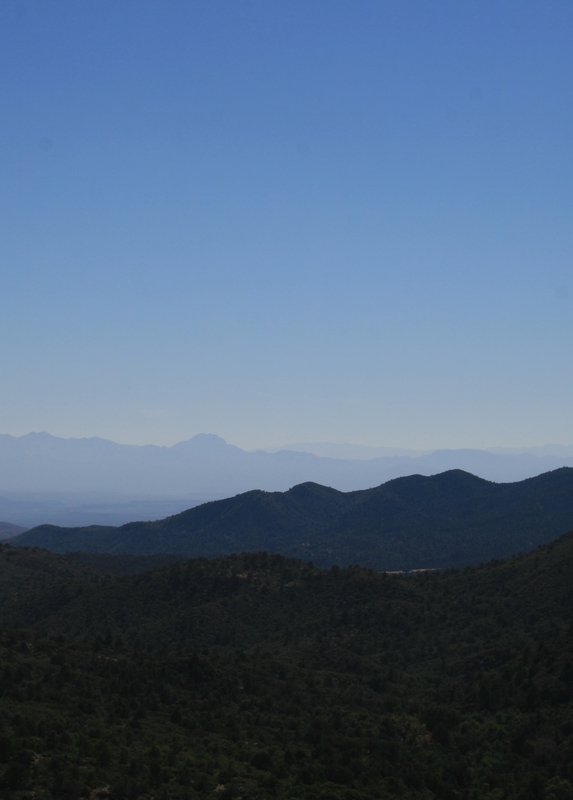 To protect all waters within the boundaries of the Fort Apache Reservation, the White Mountain Apache Tribe’s Environmental Code contains a chapter on water quality. This chapter includes, among other things, water quality standards, monitoring protocol, and enforcement provisions. The U.S. Senate approved the White Mountain Apache Tribe Water Rights Quantification Act of 2010 in November of 2010. The Act settles the Tribe’s claims to both the Gila and the Little Colorado Rivers in Arizona. The settlement also provides funding for the design and construction of a domestic water delivery system on the Reservation, known as the Miner Flat Project, and offers water certainty for the City of Phoenix, the Salt River Project, and other downstream users. The U.S. Department of the Interior awarded funds to the White Mountain Apache Tribe in October of 2011 to initiate the planning and design phase of the Miner Flat Project. However, final approval of the settlement is still pending as of June 27, 2013. Once finalized, the settlement will entitle the White Mountain Apache Tribe to 52,000 afa of water. Under the terms of the settlement, the White Mountain Apache Tribe has agreed to lease its CAP allocation to the City of Phoenix, which is located 194 miles southwest of the Reservation. The White Mountain Apache Tribe has declined to participate at this time due to the delicate state of their current water rights negotiations. Inter Tribal Council of Arizona, Inc., White Mountain Apache Tribe, http://itcaonline.com/?page_id=1185 (last visited June 27, 2013). U.S. Dept. of Commerce, U.S. Census Bureau, 2010 Census. http://factfinder2.census.gov/faces/tableservices/jsf/pages/productview.xhtml?pid=DEC_10_DP_DPDP1&prodType=table (last visited June 27, 2013). White Mountain Apache Tribe, White Mountain Apache History, http://www.wmat.nsn.us/history.html (last visited June 27, 2013). White Mountain Apache Tribe Department of Game & Fish, http://www.wmatoutdoors.org (last visited June 27, 2013). See Environmental Code of the White Mountain Apache, Preamble to Cpt. 3, http://wmat.us/Legal/Environmental.html (last visited June 27, 2013). Included as Title III of the Claims Resolution Act of 2010, Pub. L. No. 111-291, 124 Stat. 3064. U.S. Dept. of the Interior, Bureau of Reclamation, Lower Colorado Region, White Mountain Apache Tribe Settles Water Claim, 2010, http://www.usbr.gov/lc/phoenix/AZ100/2010/white_mountain_apache_settles_water_claim.html. Native News Network, White Mountain Apache Tribe Receives $11.8 Million for Water System, Oct. 15, 2011, http://www.nativenewsnetwork.com/white-mountain-apache-tribe-receives-11-8-million-for-water-system.html. U.S. Dept. of the Interior, supra.